Discussion in 'Public Events' started by Lina, Feb 8, 2019. 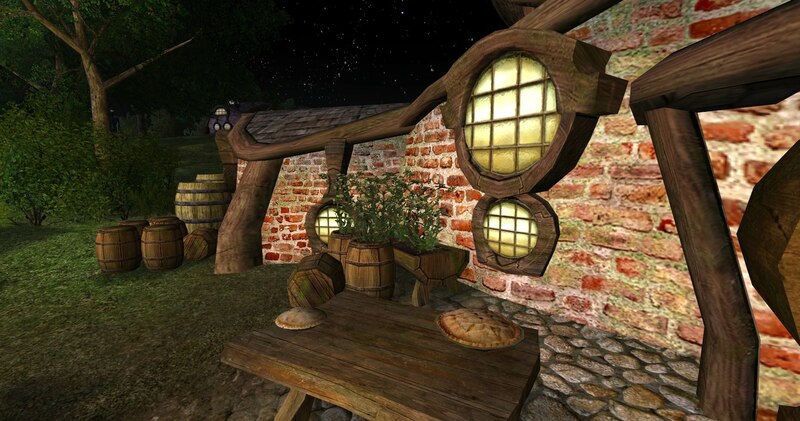 Finally, time for a Green Dragon Pie day! Welcome to enjoy pies and pie-related entertainment at the Dragon tonight. Bring along yer prized pie and piesome riddles, stories, songs and pi-ems! Barmy will serve you a FREE pie buffet tonight at the counter. Feel free to take tasters from all pies on the menu. A hearthy mushroom pie that goes down well with Dragon Ale. Might require some loud chewing. A tart that might wake up the hibernating badgers. Sweet and comforting! Let these apples adventure into your belly! Contains the best apples picked by brave hobbits who adventured to Appledores and back again. This one contains more ducks than dragons, at least let’s hope so. At least someone used much pepper in it. This pie is all about cheese and chucks. Goes down well with some Cluck Norris jokes. See you at the Dragon tonight! Rubellita, Pennyroyal and Ragwort like this.